The allure of celebrity status is something many people dream about, and plenty will jump at the chance to achieve it if it comes along. Reality shows represent a relatively recent development where, despite what it is indicated by the name of their genre, scripts and prearranged storylines do play very much into the program, with twists and surprises, including ones they can’t plan for, implemented to up ratings. Rarely is the experience of becoming a household name as a result of a reality show appearance or victory a painless experience during which on one gets hurt. Shir (Niv Sultan) is best friends with Roni (Amit Yagur), and the two of them desperately raise their cell phones in the air when an invitation to the party of the year, thrown by two mean girls, goes out, convinced that their service must not be working. 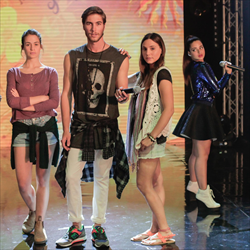 Shir sees a pathway to popularity when her brother Tomer (Omer Dror) auditions for The One, a singing competition series. As Shir rides the wave of teenage obsession with older musicians, her mother Talia (Liat Ekta), a teacher, goes all-out to promote Tomer, while her yoga teacher father Avner (Nathan Ravitz) is not as eager to embrace this wild ride which also leaves Tomer’s girlfriend Maya (Amit Farkash) out in the cold, pushed aside by the show’s producers to feature his number one competition and potential love interest, Rotem (Noa Kirel). Many people might confuse this film with the Oscar-winning 2000 film of the same name from director Cameron Crowe about a journalist touring with a rock band in the 1970s. The two do share some similarities, but this present-set movie immediately taps into modern obsessions like cell phones which dictate almost all behavior, with Tomer’s eagerness to watch his first surprise appearance on the show at a specific hour almost seeming like a relic of the past. 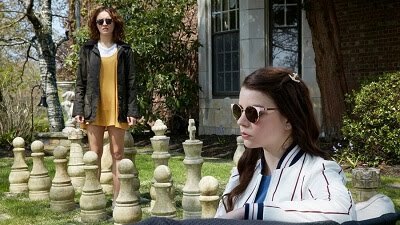 In a sea of cinema and television about unpopular teenagers trying to get in with the cool crowd, this film manages to stick out as an enjoyable ride that isn’t concerned with being unpredictable, instead focused on telling a genuine story filled with music about those swept up by fame. Though she’s about a decade older than her character is supposed to be, Sultan captures Shir’s teenage energy perfectly, coming alive so much more when she types onto her phone than when she actually interacts with the few people in her life she dares to speak to. She’s supported by an excellent cast, including Dror, who is musically talented but also very adept at playing a heartthrob who really just wants to sing songs of love to his girlfriend. This is a fun film with a great beat that gets going in its very first scene, memorable and entertaining without trying to be revolutionary.